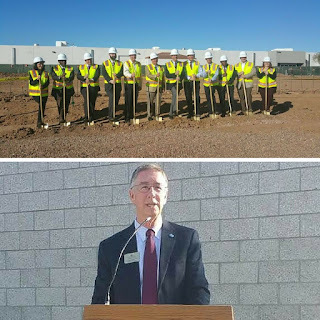 Members of the Chandler-Gilbert Community College (CGCC) administration and faculty joined Interim President Guerriero and Gabor Lorant Architects Inc. on February 4th for the groundbreaking ceremony of Cooper Hall at CGCC’s Williams Campus. This latest addition to the constantly evolving college grounds is a multi-use facility that will boast 11,820 square feet for general classrooms, engineering and applied technology labs, faculty offices and meeting spaces. Cooper Hall’s emphasis on engineering, science and technology is only appropriate given its namesake’s legacy. United States Air Force Colonel Leroy Gordon “Gordo” Cooper Jr. (March 6, 1927 – October 4, 2004), better known as Gordon Cooper was an American aerospace engineer, test pilot, United States Air Force pilot and one of seven original astronauts in Project Mercury, the first manned space program of the United States. 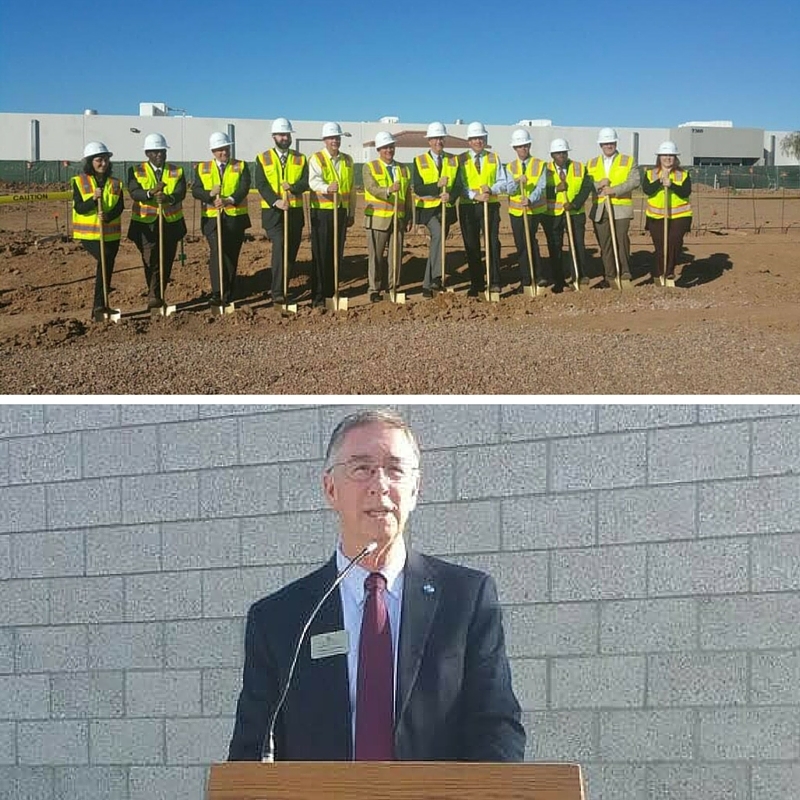 “CGCC is thrilled to help preserve the accomplishments of Gordon Cooper to engineering, science and to our country through Cooper Hall while drawing inspiration and motivation from Col. Cooper’s relentless pursuit of the next horizon,” remarked William Guerriero, Interim President CGCC.